Losing weight can sometimes be hard but, trust me; it’s a whole easier when you have a properly equipped kitchen. The right tools make healthy cooking so much easier, and of all my healthy eating kitchen gadgets, my blender is my favorite. I’m convinced that using it has helped me lose weight and keep it off easier than ever before. 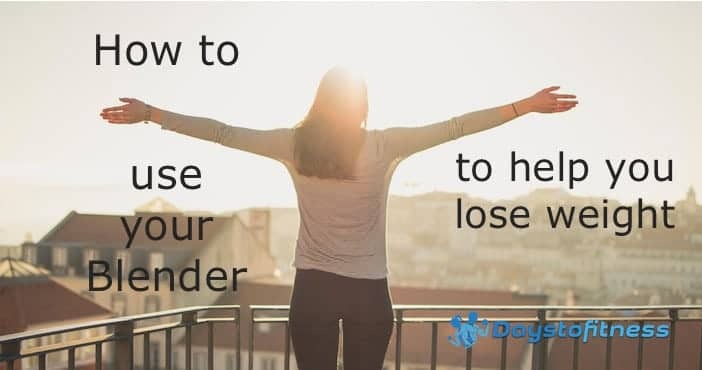 Here’s how YOU can use your blender to help you lose weight. Protein is filling and boosts your metabolism but, if you choose a low-fat protein option, it’s also low in calories. For this reason, you’ll lose weight faster if you have protein for breakfast. Foods that are high in protein include lamb, fish, chicken, beef, eggs, turkey, cheese, yogurt, beans, and nuts but, if like me, you don’t always have time to make a substantial high-protein breakfast, you’ll find you can whip one up in seconds using a blender. High protein breakfast smoothies are the best way to start your day. They’re filling, healthy, and tasty and can be ready in a minute or less. You’ll find more information about the power of high protein breakfasts in my article Why I Have a High Protein Breakfast as well as links for recipes. One of the best ways to lose weight is to follow a meal replacement diet, check mine here. What’s that? Good question! Simply replace one or two of your normal meals per day with low-calorie meal replacement shakes or smoothies. That way, you get all the healthy nutrients you need, but less than half the calories. Trust me; the weight just falls off you! You can use readymade meal replacement powders or make your own meal replacement shakes – it’s entirely up to you. I’ve tried both options, and they both work well. Not sure how to make a healthy meal replacement smoothie? Check out my comprehensive list of recipes here! Soups, like smoothies, are an excellent weight loss meal. High in fiber and water, but very low in calories, a bowl of soup will keep you feeling full up for hours. While you can buy canned soup, soup in jars, and ready-made soup from takeouts, I prefer to make my own so that I know exactly what I’m eating and that I’m not accidently consuming more calories or any hidden, unhealthy ingredients. Soups are easy to make, and you can whip them up in big batches so you can store or even freeze them for later. Or you can put your soup in a thermos to keep warm for a few hours. However you do it, soup is a very good weight loss meal. You can make soup in a jug-type blender but, for me, I find immersion or stick-type blenders are better for soup. That way, you can blend your soup right there in the pan rather than try and pour hot liquid into a regular blender. Not sure where to start with soup? Check out my blender recipe page where you’ll find SEVEN excellent soups to try. Not got a blender? Not sure which one to buy? Don’t worry; I’ve got lots of information about blenders in my article Choosing the best Blender for Smoothies. I’ve got lots of kitchen gadgets because I really enjoy cooking, but the one I use the most is my blender. It’s easier to use and clean than a food processor, but it does almost all the same jobs. I can honestly say I use by blender at least once a day. 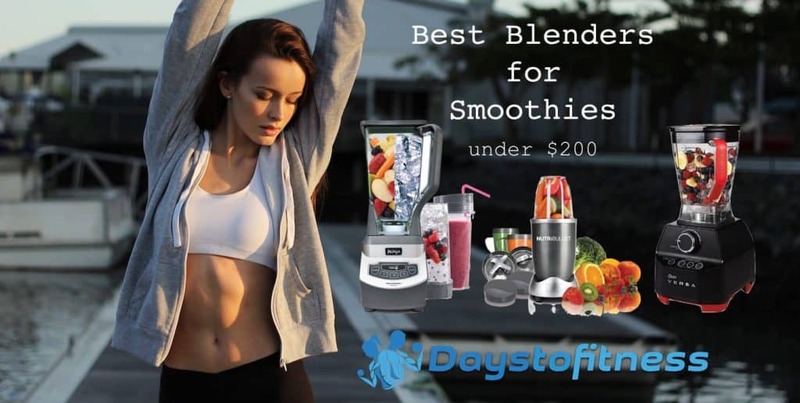 Ever since I bought my blender, I have found that healthy eating is much easier, and the easier something is, the more likely you are to do it regularly. If you have got a blender, make sure you check out all the recipes I’ve mentioned in this article so you can put it to good use and start losing weight.